Family– first and foremost every year our staff and players will work to become a family. This isn’t something that is easy to accomplish, it requires daily time and effort. We will work to get to know each other; players, coaches, strength coaches, equipment managers, trainers, interns etc. We will accept each other’s differences and will look for the good in others. Every person within the program is important and everyone in some way contributes to its success. We will support each other in good times and in challenging times. We will acknowledge that we do not play or work for ourselves; we play and work for the organization. Class– all of our players and staff will carry themselves with class at all times. We will behave like gentlemen, classy, humble, polite, always looking to help others. 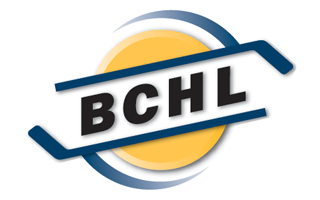 BCHL and Division I athletes are under a microscope, it is very important that we present ourselves with class at school, in our community, in the arenas, and in our billet homes. It will be an expectation that classmates, teachers, housing families, the media, and fans view our hockey players as classy individuals. Growth– our program will be based on growth and development in all aspects of our lives. We will strive to be great on the ice, in school, in the weight room, personally, and in our community. 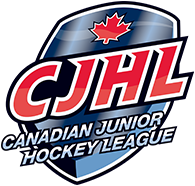 As our players progress through the BCHL it will be our goal to see them improve their approach to academics, improve as hockey players, as teammates and to improve on how they interact in the community. Discipline– we will be responsible for everything that transpires in our daily lives. We control the effort that we put in to things and the decisions that we make. If things don’t go the way we’d like in any given situation, or we make a poor decision, we will be professional about it and take full responsibility. We will all be held accountable for our actions. No excuses, no explanations. Service – we will enhance the Wenatchee Valley. We are all very fortunate to be here working and playing hockey in the BCHL. We will show our appreciation every day and will contribute to making Wenatchee a great place to be. We will reach out and engage fellow students, in high school and college. We will be proactive when those that are less fortunate are in need and will lead the way with charitable activities. Hard work– we will work relentlessly in pursuing our goals on and off the ice. We will work extremely hard to be great on the ice in practice and games, in school, in our community, with our strength and conditioning. Poise– we will experience great times and challenging ones. We will always operate with poise. Did we get better today? Are we prepared for tomorrow? Is there excitement in our room?